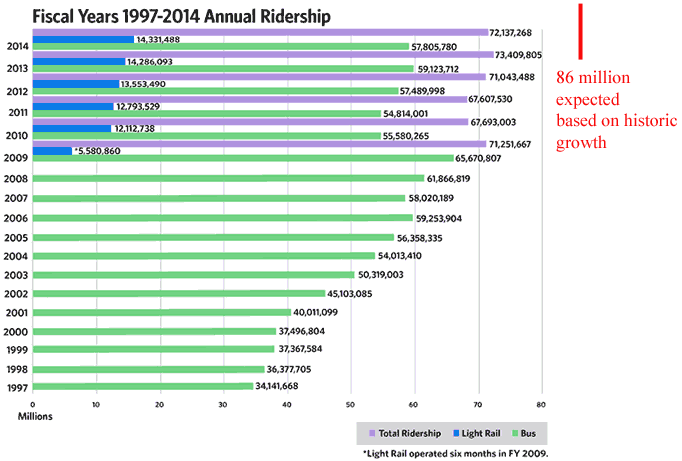 « Is The Media Actually Waking Up to How Rail is Sinking Public Transit? You misunderstand the purpose of light rail. You seem to think it is about moving commuters and public good, etc. On no, this is about union jobs and lots of money to spread around. With any luck they can be building light rail for 20-50 years, billions and billions of dollars. Don't you understand how many votes that will buy? You have to think like a Democrat politician or a Mafia chief (sorry for the redundancy). It is not about the votes but the political donations from contractors and unions, as well as a bit of 'green sentiment'. I did not understand the drive for light rail until I arranged for a talk between a gubernatorial candidate (with libertarian tendencies) and a group of downtown business folks -- mostly middle management. A hot topic was a proposed light rail development. The candidate was against it, stressing the economics but also mentioning displacement of homes and reduction in bus service. The management folks there were fervently in favor of the light rail. And then I realized, the light rail would give them easy transportation from downtown to the airport. Of course, they would love it! They could avoid using the bus (which they basically had not been using) AND they could avoid expensive cab rides. Coyote is right. 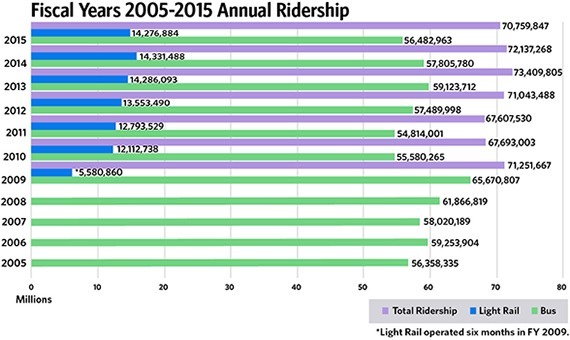 Light rail is a boondoggle for the well-to-do.